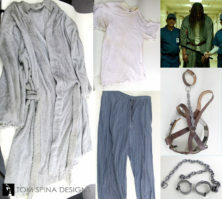 An large life sized mannequin to display a Michael Myers costume from Rob Zombie’s Halloween movie. 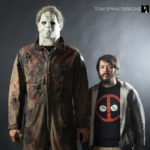 In order to fit the large, muscular frame of the Michael Myers costume worn by actor Tyler Mane, we had to create a custom mannequin which would match the actor’s extra large 6’8” body size. Not only did we need to customize the mannequin’s size but we also wanted to customize his pose. 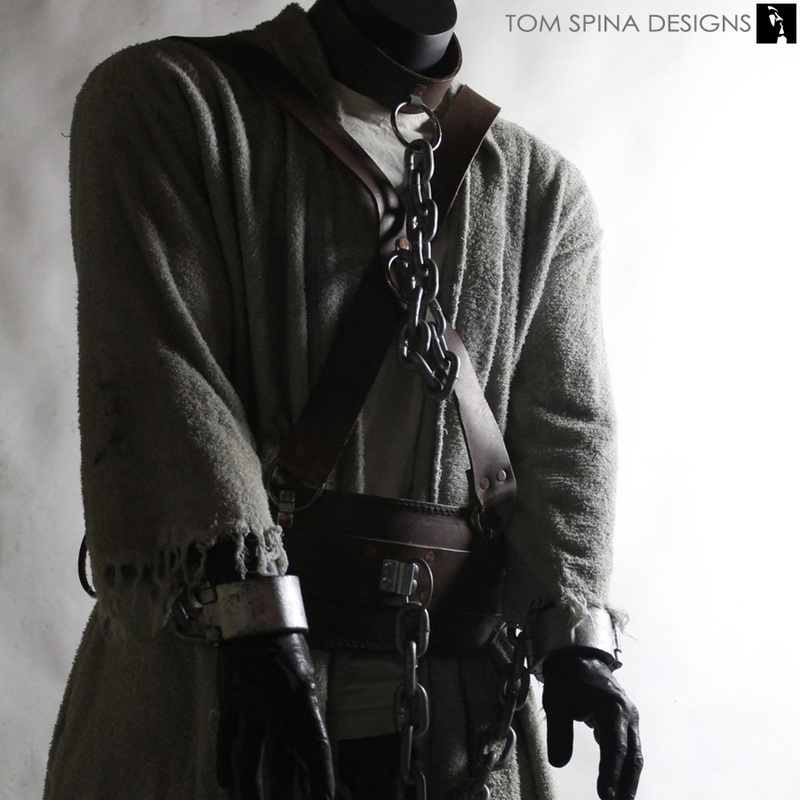 We wanted to create a more hunched over pose which also brought his hands closer together which mimicked the actor’s look in the hospital escape scene of the first Rob Zombie Halloween movie. 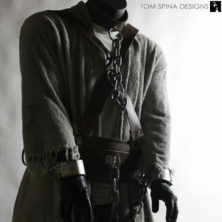 The pose also made for a better display of the screen used break-away handcuffs and ensured that no extra stress would be put on the cuff or faux chains. When the fiberglass mannequin was finished, we added a pair of extra large life cast hands so that they would be proportionate to the rest of his body. 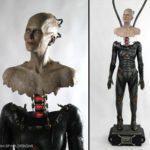 The body was finished in a satin black finish, to keep the figure minimal and ensure the screen used movie costume would stand out in this display. 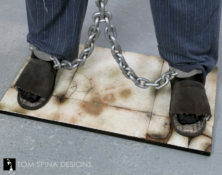 We also had to create a pair of replica slippers like the ones Michael Myers wore in the hospital scenes, since that was the only element of the costume that the client did not have. We distressed the slippers to match the film and blend nicely with the rest of the costume. With the extra large custom mannequin finished, we moved on to creating a themed base for the display. 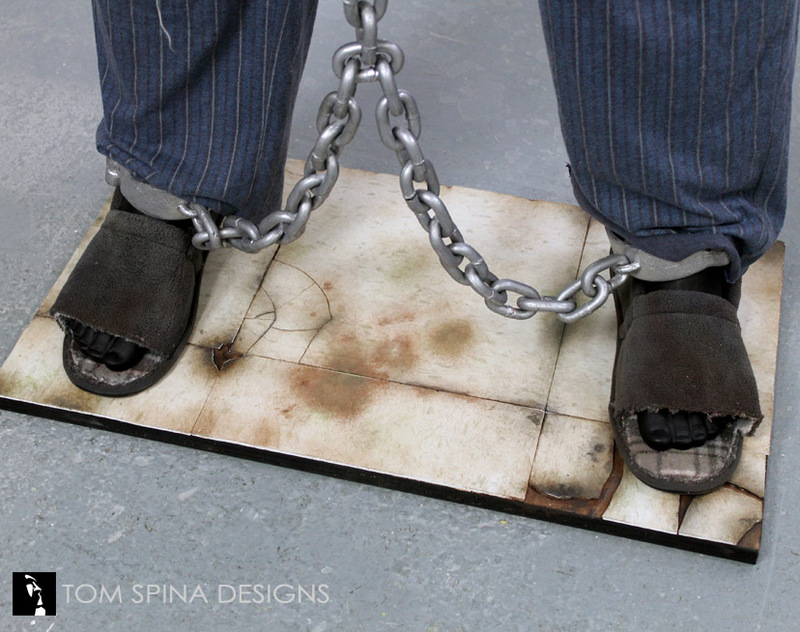 We used an industrial style tile as a nod to the institution that Michael is committed to. But of course we couldn’t leave the tiles in pristine condition for a Halloween costume display! We added cracks, peeling tiles and faux dirt so it looks like it had been in the institution as long as Michael Myers or perhaps even longer! The final custom display is wonderful, imposing and creepy! 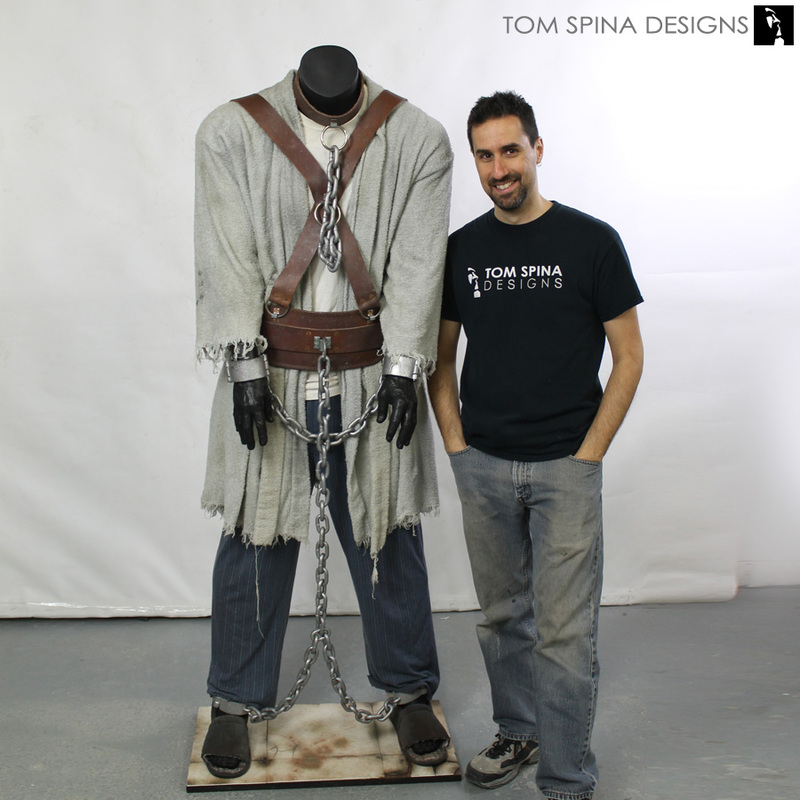 The perfect display for a Halloween movie costume! 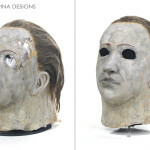 And if you love the Halloween movies, check out our restoration of an original Michael Myers mask from Halloween 5! 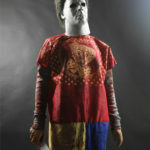 If you are looking for a mannequin for your own Michael Myers display, check out the shop to purchase an extra large mannequin today. 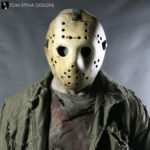 Haven't seen Rob Zombie's take on this classic movie killer yet?